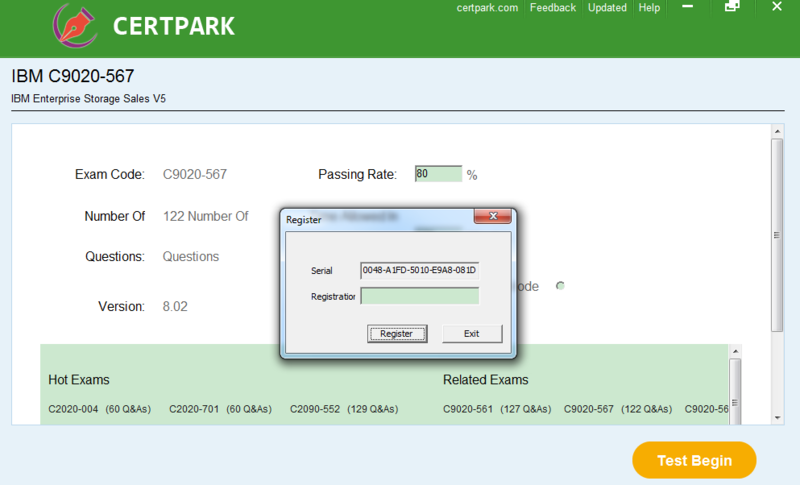 Certpark: Provide professional IT exams latest dumps, 100% pass! The following video shows how Certpark software works and the solutions to solve kinds of problems when you use our software. Besides, you can also check the following steps to see how our software works. 1. After you download the software from our email content, you will get the following zip file. 2. 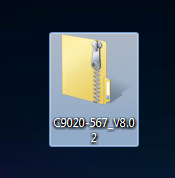 Please extract the zip file and you will get the exacted file folder. 4. 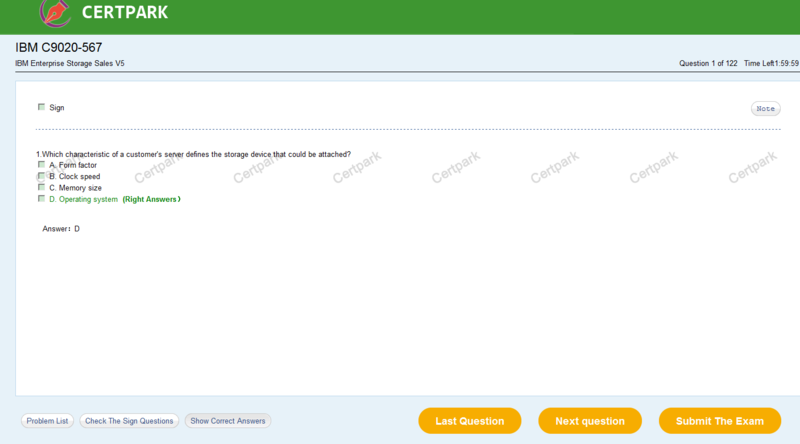 After you click Certpark APP, you will find the following window. For some special exams, we have spent a lot so we have to protect our products. The following C9020-567 is one of the special exams. Please copy and send the serial number to us, and then we will generate the unique registration code. 5. Then you will get the following homepage of our software. 6. There are two modes in our software. In our examination code, you cannot check answers until you submit the exam. 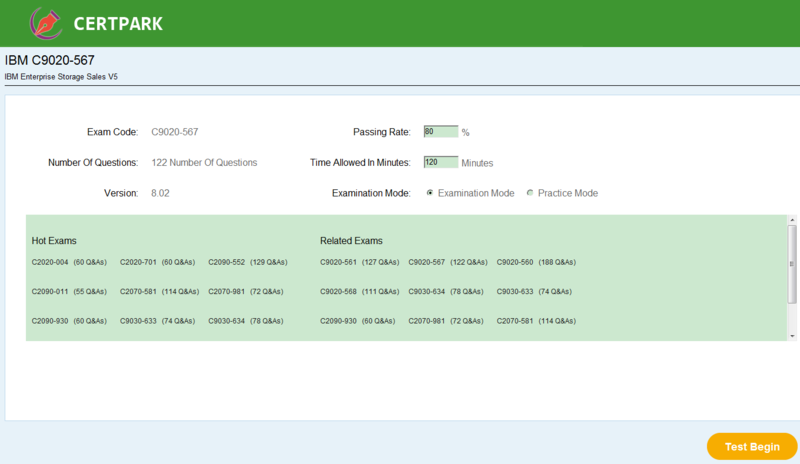 However, in our practice mode there is a button called “Show Correct Answers”, which is easy for you to check the answers.